Since I upgraded to my Dell T3500 early this year, I have really been enjoying how fast it encodes any Bluray rips thrown at it (I was previously using an AMD tri-core for that task). I decided to run a test today (it is 100F outside so the nice cool basement seemed preferable to that) to see how much having hyperthreading enabled on the Xeon affects the result of a Handbrake encode. How much would it affect performance? It is a topic that comes up a lot in online threads as to which processor to buy, and whether hyperthreading is worth it. This test is just very simplistic but is directly relevant to my use of Handbrake. 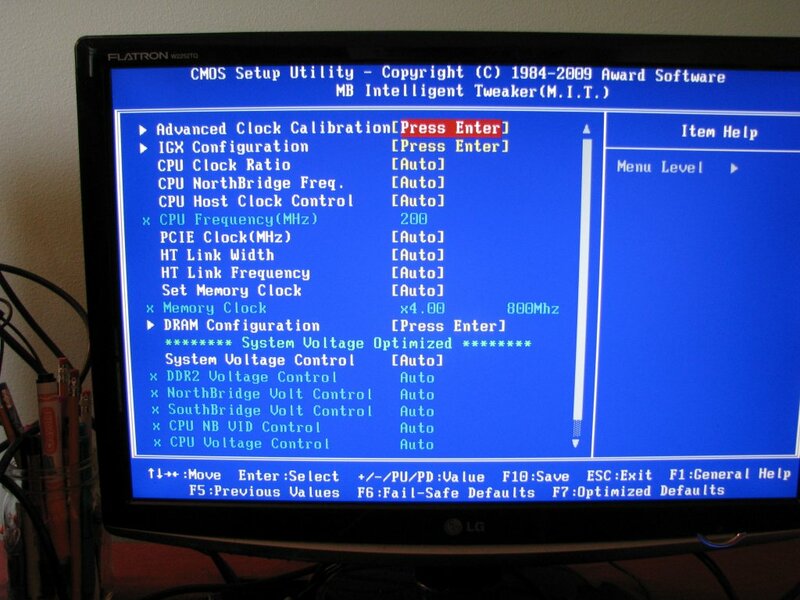 I first booted to the BIOS and disabled hyperthreading, then booted into Windows. I am working with the fabulous The Force Awakens BluRay rip which I still had on my local drive. The Handbrake settings are mostly default. I let the job begin. 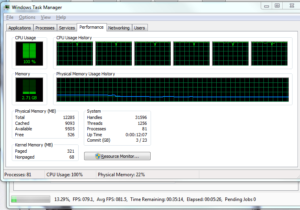 I then restarted the machine, enabled hyperthreading in the BIOS, then let Windows start. I used the same Handbrake settings as previously, and then started the job. The job finished in 35:10 at an average FPS of 94.4. 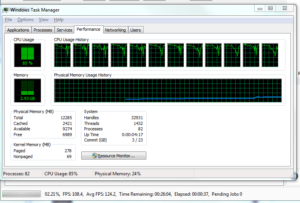 In my environment, I saw an increase of 16.6fps (21%) with hyperthreading enabled, and the task ran 7:16 faster (17%). I’m not sure why the math doesn’t match up closer but it never was my forte. 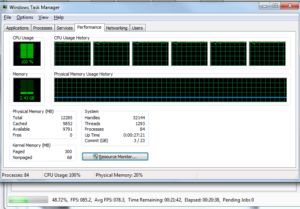 Hyperthreading absolutely reduced the time it took to encode my movie. Logic told me this would be the case because Handbrake is very thread-aware so it was nice to see it play out that way. 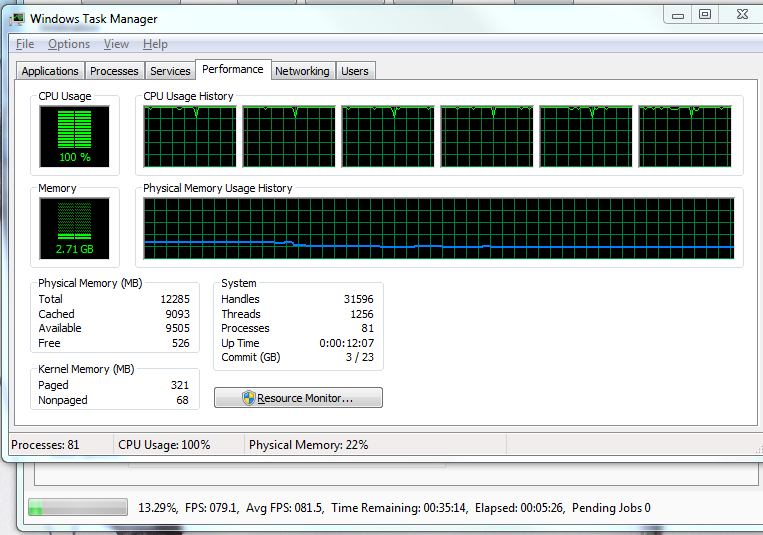 It was also interesting to watch the Task Manager as it was working. 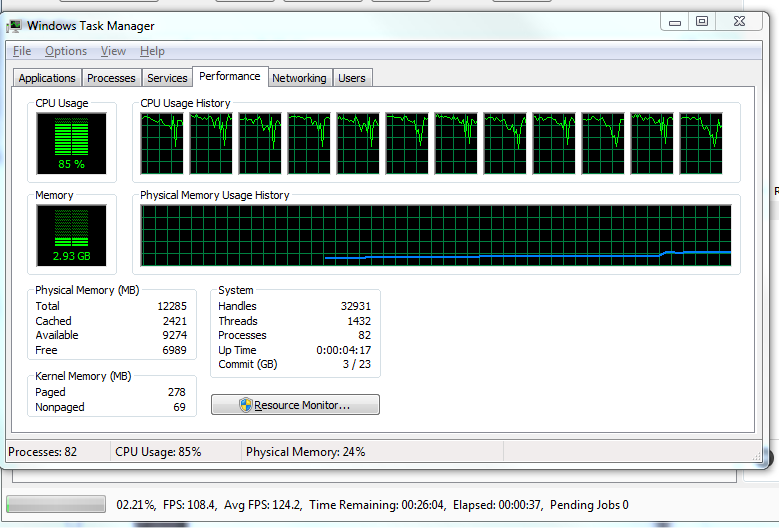 Without HT turned on, the CPU stayed pretty much pinned at 99-100% the entire time. With HT on, there were a lot of dips into lower percentage territory. Not for long, but just enough to be noticeable. I will keep hyperthreading enabled, and continue to enjoy the performance increase. Since I traded computers with the kids’ community one so my son could play his games (apparently Plants V Zombies’ user experience on a dual-core AMD with integrated video is not good), I had felt its limitations. We purchased an HD camcorder last year but could not even play the 1080p/60 videos on the machine. For that matter, none of the PCs could do much with the video files. All I could do was export them to the PC and hope the home tech would eventually catch up. 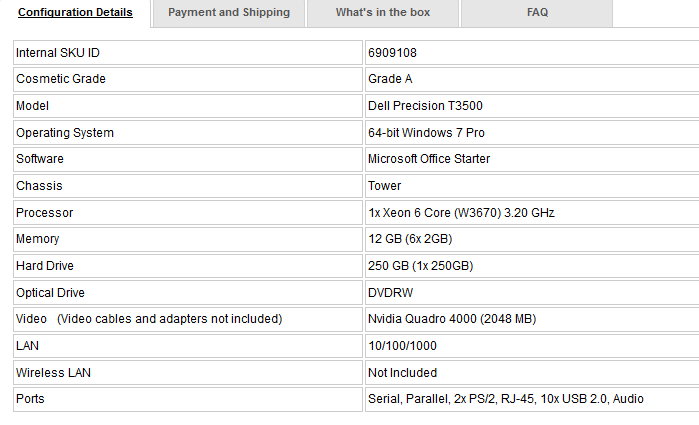 At the end of the year, I accidentally noticed Dell’s refurbished workstation selection. The stock continually changed but the generally had some workstations that would server me well. Google provided me with a couple sites to watch for coupons (here is one). I checked back periodically and eventually a 49% off and free shipping offer materialized. They did not have any of the most powerful Xeons (W3690s rarely surfaced and when they did, were gone in no time) but they did have the next step down, the W3670. 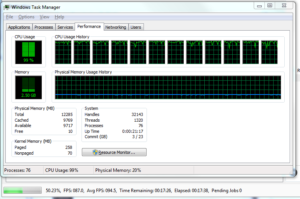 This is a six-core Xeon with hyperthreading. The workstation was a cosmetic grade of B but when it showed, it looked brand new. It even came with an Enterprise 10k 250GB drive, which was a pleasant surprise. 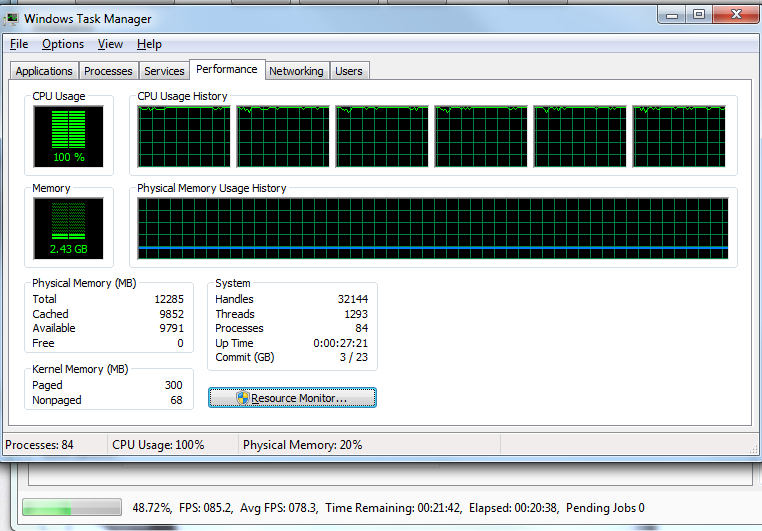 The Six-core Xeon was a large step up from the processor I was currently using (an AMD X2 260). The T3500 was delivered and I popped the case open to investigate. Everything was solidly built and whisper quiet. It did pull quite a bit more electricity from the wall than I was used to but that was fine. It was a 130W processor compared to a 65W. I went into the BIOS and enabled hyperthreading (off by default for some reason), as well as the other SATA ports. I pulled the BD reader from my backup machine, and installed it into the Dell. I initially set it up on a kvm switch so I could use both machines. The short-term plan was to continue using the dual for my normal work, and just switch to the hexa when I needed the additional horsepower. 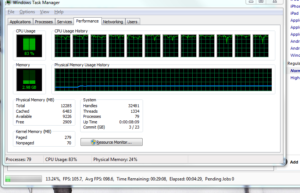 The 1080p/60 video files opened and ran flawlessly. 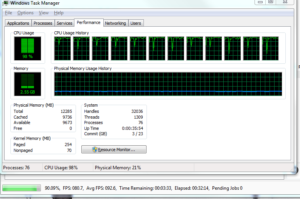 Bluray files encoded much, much faster with the Xeon as well (almost five times faster). Everything was very peppy. It did not take too long to realize there was no point in running both machines. I installed the necessary apps onto the T3500. 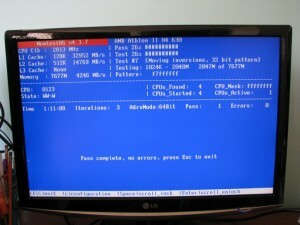 The dual-core machine had a SSD boot, with three additional spinners. The Dell could handle two; three if you were creative. So I plotted out a strategy to move everything I needed to the largest drive in the system, a 2TB Samsung Ecogreen F4, and proceeded to carry out the plan over the course of a week (in my usual fifteen minute chunks). Once that was accomplished, I forced Veeam Endpoint to make an updated incremental, created a recover ISO on the network (I already had the CD recovery created), and powered down the machine. It took but a couple minutes to install the F4 into the T3500. Powered it up and ensured everything was working fine. I pulled the remaining drives (one was the Samsung 850 Pro SSD boot drive) and then placed the gutted machine on my server rack (which is just the top shelf of one of these). I knew something would come up where I would need to have something off the decomissioned machine. So I created a Win7 virtual machine shell on my Esxi box, booted to the recently created Veeam recovery ISO, and proceeded to restore the boot drive into the vm shell. Worked perfectly. And I was right. A couple .ini files ended up being needed and it was easy enough to find and grab them. I used the T3500 for two months with the 10k boot drive. It was a nice drive but sitting on the shelf on my desk was the 128GB Samsung SSD. That just seemed wrong to me to not have that being used. I grabbed the Veeam recovery disk for the T3500 (which had been getting backed up nightly), powered down the machine, swapped the SSD in for the 10k drive, then restarted using the CD. About twenty minutes later the most recent backup had been restored to the Samsung. A reboot later, I was good to go. The 10k was labeled, and got placed on a shelf, just in case. 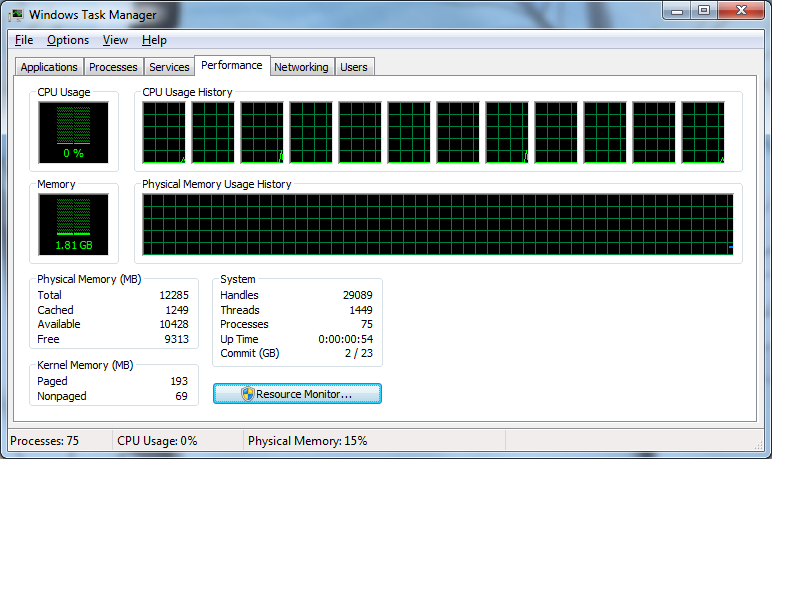 Everything has been running quite well on it. I have Plex server running on it for all our household devices, while the backup server continues to serve remote devices. Handbrake runs fantastic on it utilizing all twelve threads, and creating and generating home videos with MS Movie Maker is very fast. All in all, I am quite pleased with the ‘new’ addition. I discussed Veeam Endpoint a while ago, and how much I enjoy it. 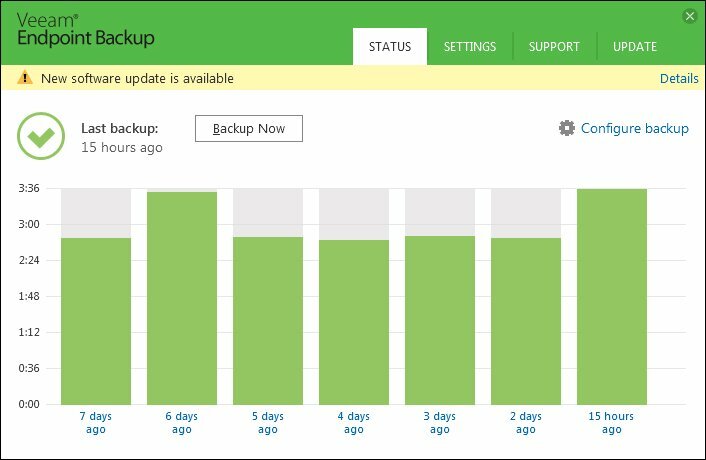 All our Windows machines in the house, including my wife’s laptop, get backed up nightly to the OpenMediaVault storage pool. Some machines get the default 14 day protection, but my primary machine gets 21 days. The total storage used is reasonable given what it is protecting. I have already needed to restore a couple minecraft folders for the community PC, and that was dead simple. To protect against all the Cryptolocker variants out there, the OMV share only allows a single user to write to it, and that user is only used within the Veeam job itself. This is critical. If you assign a standard user RW to that folder and they get hit by Crypto, say goodbye to both that machine AND all the backups. The newest version of Endpoint allows for you to create an adhoc full backup that is outside the normal backup chain. This allows you to target an external drive to create a nice point-in-time backup that you can then unplug and stow in your media vault, just in case. I have already done this for a couple of our machines. I have also successfully used Endpoint to upgrade boot drives. Once was to upgrade the size of SSD and the other two move from a spinner to SSD. This second upgrade will be the subject of another post. All the backups occur in the middle of the night. 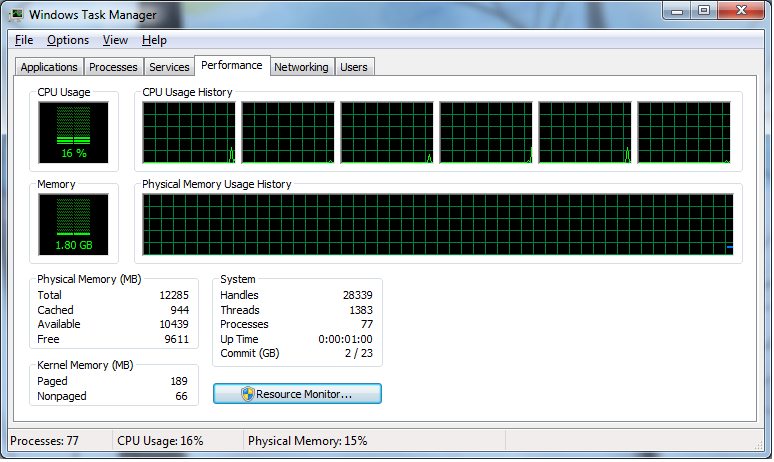 The laptop wakes itself from sleep to perform this task, then goes back to sleep, which is very nice. As I’ve mentioned in previous posts, all the data on my network is backed up daily, with external and offsite backups updated manually. 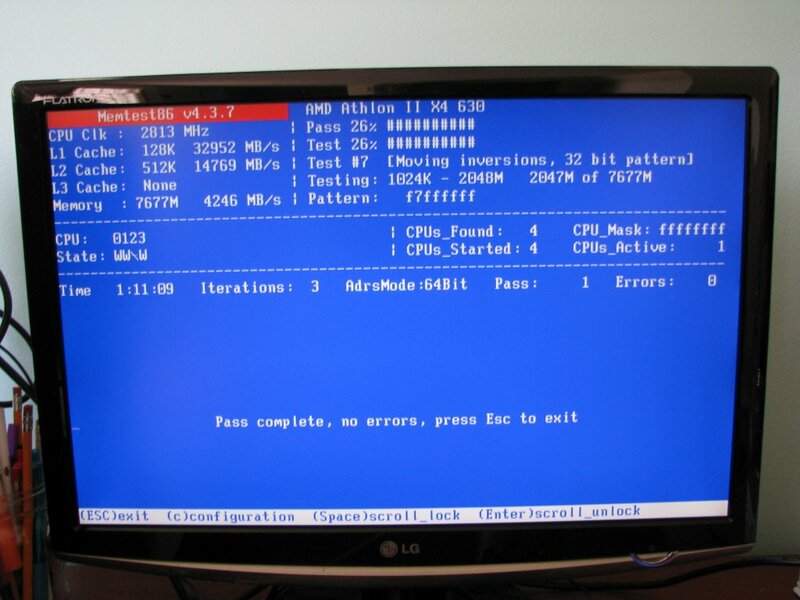 I’ve mostly neglected the boot drives of my three Win 7 PCs. I’ve toyed with a few different (free) backup products the last couple years, but nothing I decided to stick with. A few weeks ago a situation came up on the family PC that made me revisit the topic. The product I decided to test out was Veeam Endpoint. 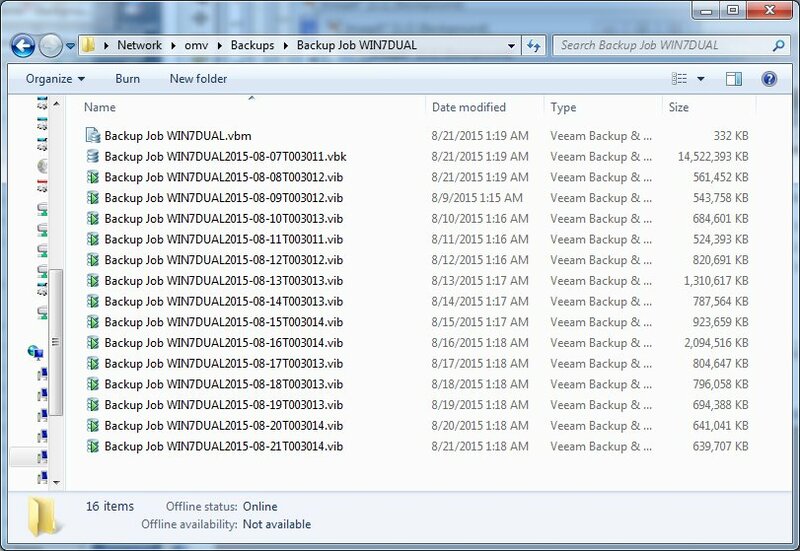 We use Veeam at the office for backing up our virtual machines. It is fast and reliable. I had every reason to expect the same from their free product. I created a new SMB share on on OMV pool, and named it ‘Backups’. I used this share as the target for each of the machines. Installation and initial configuration was a breeze. I created a restore disk, per their recommendation, which took about ten minutes. I selected their ‘Volume-level backup’ option and picked the C drive for each desktop, and staggered the nightly runtimes. The default 14 day retention seemed fine to me. Then I started off the initial (Full) backup. The full took about twelve minutes for the two regular Win 7 machines (the Arcade PC took longer as it had all the games on the C drive). Quite quick. 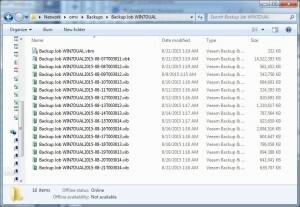 Veeam certainly applies compression as the end backup was quite a bit smaller than the drive it was protecting. Fast forward a couple weeks and the folder looks like below. The entire fourteen day backup set is just 25GB, protecting 40GB of data on the boot drive. Very impressive. The nightly run times are very fast. 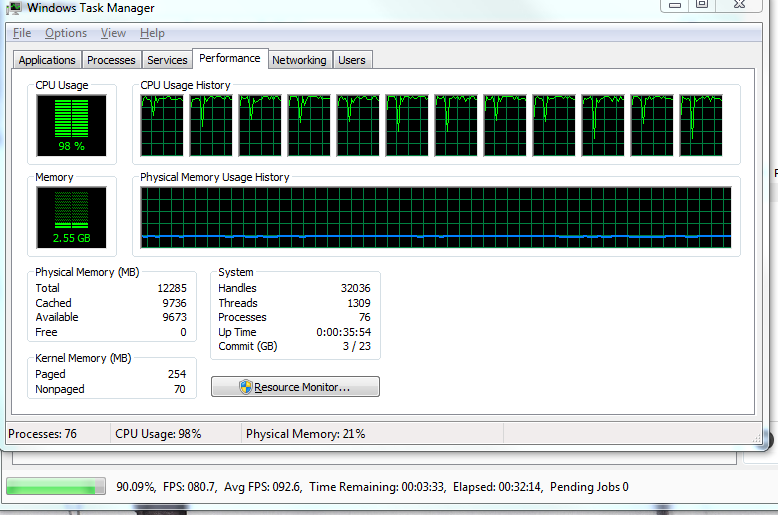 Veeam Endpoint has been running the past sixteen days and all seems fine. I have attached a backup set and could see all the files within. 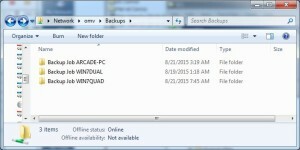 Had I needed to, files could have been restored, or copied, from the backup back to the physical PC. The restore screens look very familiar to a user of the enterprise Veeam product at the office. I have confidence that if the need arises in the future, that the backups will be there to restore from. As anyone who has visited before, you know that I use the Plex channel on my Rokus, as well as using the Plex app on our tablets. Something I had not considered before was the ability to access our fairly extensive media collection from outside our home. PlexTV now gives me that capability. I decided it was time to give it a try. On my Plex server PC (actually my Backup Server), I created a new user. I then created a second user, that we would remotely log in with. This way the server user had all the control functions, and the standard user could just enjoy the media (equivalent to admin/user in Windows-speak). I logged onto my router and created a port forward for plex. Port 32400 is default; you can certainly use something else. They recommend you enable uPnP as well. I tested both with and without enabling. Both ways worked. I turned off uPnP for security reasons. In order for the second user to see shared media, you need to send an invite to them. Users / Friends / Invite friend, followed by the username (or email address) of the invitee. I logged onto the second account and accepted the invitation. It then showed the plex server’s username in the left column, with the media viewable beneath (Movies, TV Shows, Music). Very nice. I tested on my Nook HD+ via Chrome (go to plex.tv, sign in, then click Launch). It worked well enough (the Nook being the limitation). I also tested it through the vpn I have on the Nook for when we travel. It didn’t add any obvious latency to the mix. I set the player at 2Mbs 720p. I tested it on another desktop PC at home and it worked perfectly at the same 2Mbs. The wired connection did make a better quality experience (obviously) but wireless was perfectly acceptable. There are many other features I’ve yet to investigate. This was a simple first step that I thought I would share. 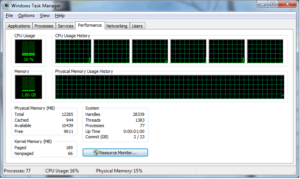 As I mentioned in a previous post, I thought it time to attempt a ram boost in the VMWare server. This would be to give me more headroom to do some Windows 10 testing. My normal suppliers (Newegg and Amazon) either didn’t have the DDR2 memory or it was priced like gold. So I decided to gamble and make an ebay purchase. 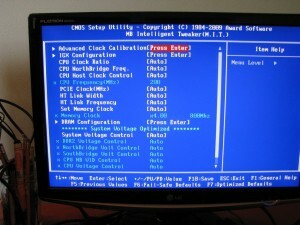 A Chinese seller named computex_tech (storefront Computex_ifixit) in specific. I’m going to relay my entire experience; realize your experiences may differ. 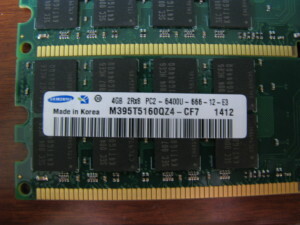 I made the order from this auction, selling ‘New Samsung DDR2 16GB AMD RAM 4X4GB PC2-6400 800 Mhz 240pin For AMD CPU Chipset‘. 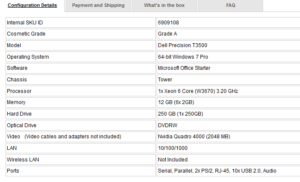 The purchase went smoothly and the ram arrived in about ten days, well within my expectations. So good so far. I found some free time (not the easiest thing to do), suspended each of the running virtual machines, and powered down the host. I flipped the power switch off on the back of the machine, opened it up, and swapped out the existing 2GB sticks with the new ram. Then I powered it back up. 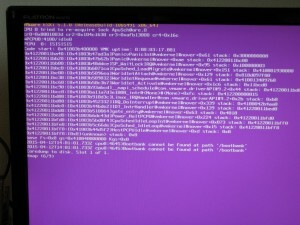 I gave it a couple minutes, then attempted to connect with the vSphere client. Nothing. After several more attempts over a ten minute window, still no connection. Okay, time to pull the machine and take to my upstairs kvm to see what is going on. I connected it to the kvm switch and powered up the PC, watching the output on the monitor. 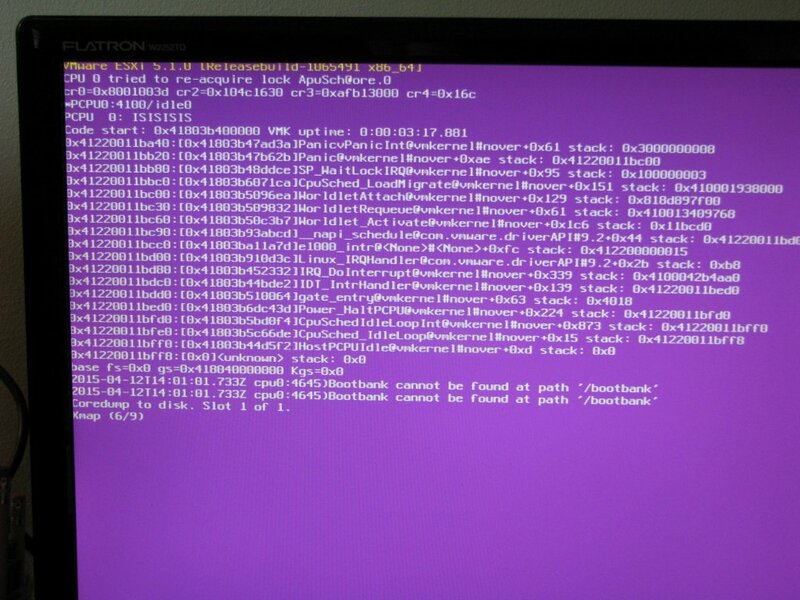 After an extended boot time, ESXi ‘purple screened’. I restarted and got the identical result again. Below shows the result. I powered down, swapped back in the original memory and took back to the basement. Powered back up so the media pool would be available to everyone again. 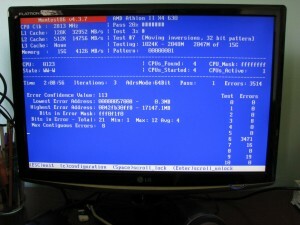 I finally found time, powered down, moved the machine back upstairs, and ran memtest. I stopped it at a little over two hours as that was all the evidence I needed. The memory was bad. Very bad. 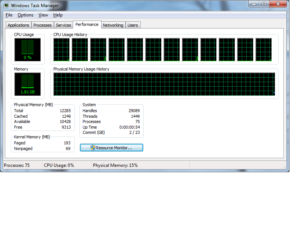 Errors were scattered across all 16GB meaning all four sticks of memory were bad. There was no way they could have tested this successfully, without errors, before shipping as they claimed. So I sent this information to them (along with the screenshot). 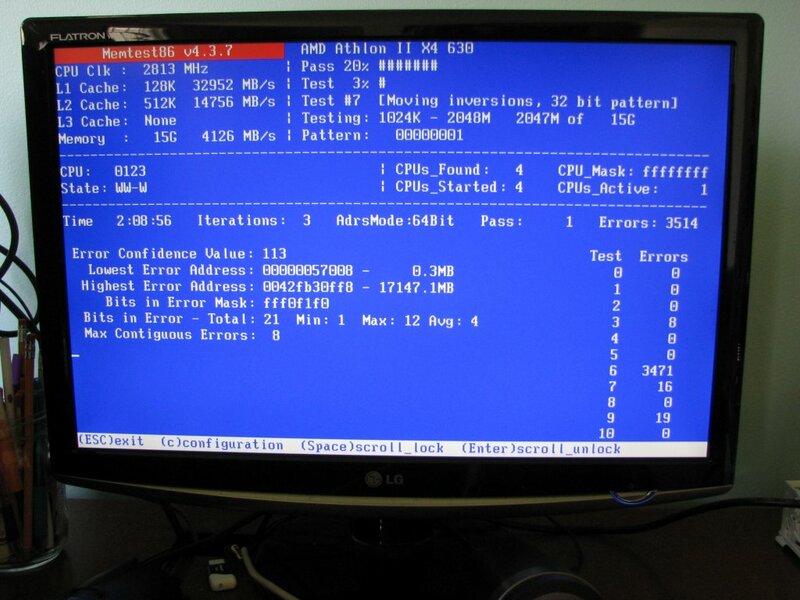 They replied back that 667Mhz instead of 800 in the motherboard BIOS would cause these errors. Okay, the existing memory is 800 speed so I know the BIOS was showing 800, but I had no proof. So I shut it down, carted it upstairs for the third time, swapped the memory (I’m getting very quick with it at this point), and got to the BIOS screen. Lo and behold, it was showing 800 just as I knew. Screenshot and emailed info. Quite obviously computex_tech has different Saturday (or was it Sunday?) employees than the rest of the week as their reply was gibberish. Now they have offered to trade the memory, but I have found out that would cost more than the purchase price, even more than that if I want tracking. They suggested I just “stamps on it” but I would still need the very expensive tracking. I did some googling to see why China-to-USA was so much cheaper. Google ‘epacket ebay’ for some enjoyable reading. Basically our USPS service and the Chinese government are subsidizing sellers so they can dump cheap items into our country. It is set up so you can buy cheaply, but if you have to return a defective product, good luck. Buyer beware. This was a $51 lesson I’ve learned. They can send you absolutely defective product (like my four sticks) and know that you really can’t do much about it. Computex_tech knows this. I would not even attempt to return for replacement as if I was four-for-four in failed memory, I can only imagine the chances of getting good stock would be. This post is meant to just give a headsup so you know what you might run into purchasing from Chinese auctions. You might get perfectly functioning product. But if you do not, realize you’ve thrown away good money. 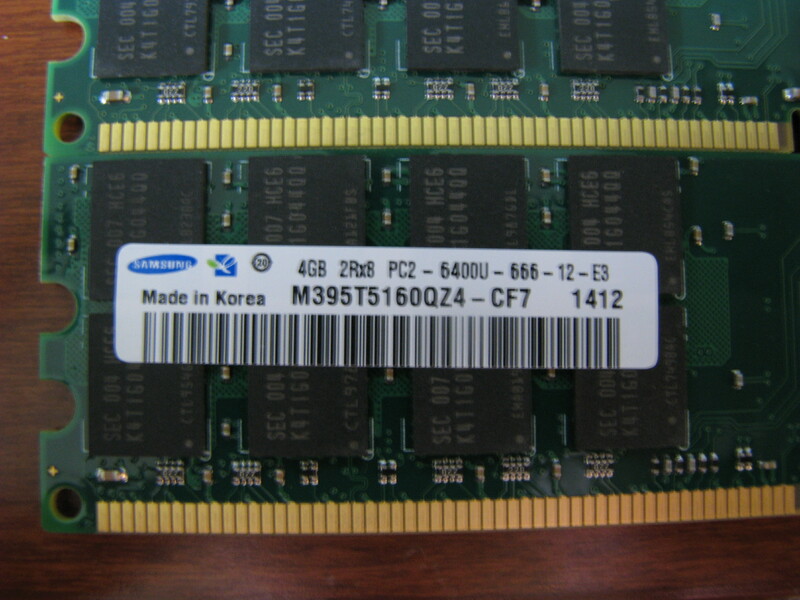 It will cost more to return (for refund or exchange) than you paid, so you’ll be stuck with a small pile of bad ram. Below you will see what I got when I tested the GSkill memory that has been running 24×7 for the past five years. Perfection!! !